ASHLAND, Mo., Feb. 26, 2019 /PRNewswire/ -- After a nationwide contest to recognize and honor local crossing guard heroes, and with nearly 90,000 votes by appreciative supporters, Safe Kids Worldwide and FedEx revealed the winner of the America’s Favorite Crossing Guard contest: Chief Lyn Woolford of Ashland, MO. Chief Woolford has been a crossing guard for five years and a public servant for more than 40 years. He wears many hats: police chief, city administrator, building code official, traffic director and school crossing guard. The students know and love him for his other hats – Chief Woolford is often seen on duty wearing comical hats decorated as parrots, chickens, tacos and cartoon characters. He is a valued by Southern Boone Schools and works closely with the district to improve pedestrian safety and traffic flow in the area. 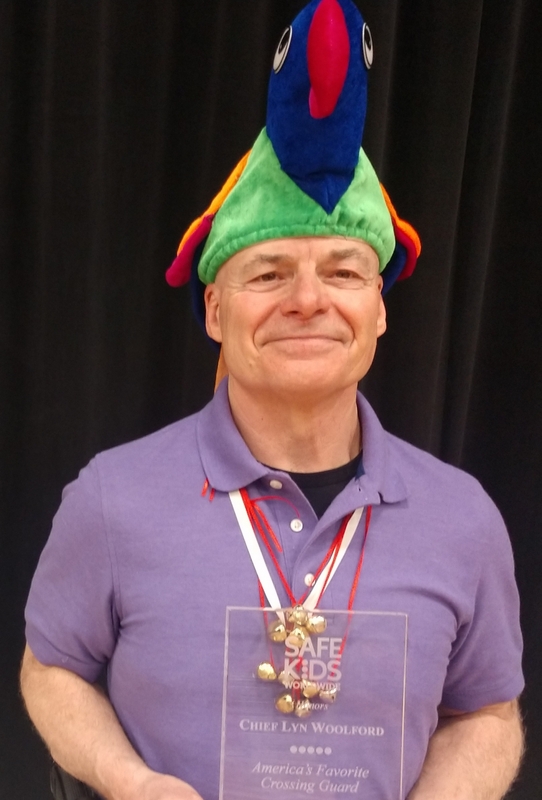 Safe Kids and FedEx will award $10,000 to the Southern Boone School District as Chief Lyn Woolford’s first place prize to be used for future road safety projects.